The Black Mass Communications Project was founded as an educational and informational outlet for Black students at UMass Amherst in 1968 and authorized in the following year as a Registered Student Organization. Over the years, BCMP played varied roles on campus, hosting cultural events, lectures, workshops, and social gatherings as to help keep black music alive. Many of its early members were also affiliated with the student radio station WMUA, and throughout the 1970s, the organization played a prominent role in providing programming to the station, offering programming highlighting African American music and current affairs. The BCMP collection consists of many dozens of reel to reel audiotapes of radio broadcasts aired over WMUA during the 1970s and early 1980s by and for the university’s African American community. Included is a range of locally-produced public affairs, cultural, and music programming, with some content licensed from around the country. A few of the tapes are associated with the Five College’s National Public Radio affiliate, WFCR. A member of of QTV fraternity, Charles Meade Boardman graduated from the Massachusetts Agricultural College in 1920 with a degree in landscape gardening. Boardman’s Papers include two of his college yearbooks, a smattering of correspondence from the 1920s relating to landscape gardening, and approximately 30 photographs, apparently taken during or shortly after his time at MAC. Vincent Clinton Brann was a Professor of Dramaturgy and Directing at UMass Amherst. Born Feb. 19, 1927 in Knoxville, Iowa, Brann served in the United States Army during WWII. After completing his B.A. at the University of Iowa in 1950 he was again called to serve in the Army during the Korean Conflict (1950-1951). 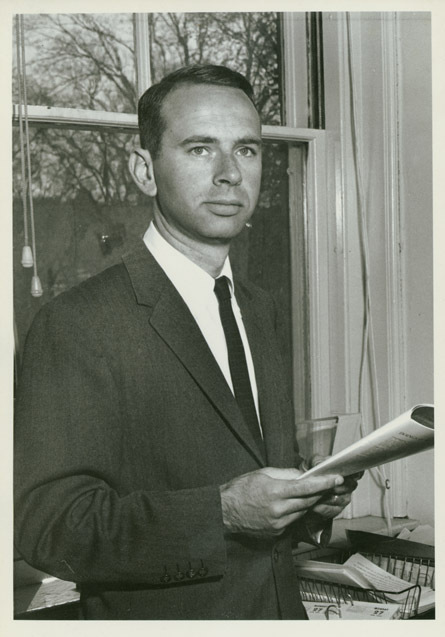 Brann held faculty positions at Carnegie Institute of Technology, University of Maryland Overseas Program Europe, and Smith College before joining the faculty at the University of Massachusetts Amherst in the Speech Department in 1964. Brann remained in the Speech Department until 1972 when it became the Department of Theater; he continued to teach in the Department of Theater until his retirement in 1988. Brann was well-known for his oral interpretation and performance classes as well as his productions and original scripts. At the time of his death in 2007 he was Professor Emeritus of Dramaturgy and Directing. The Brann Papers are a collection of genealogical materials dating to the early 20th century, correspondence, family and travel photographs (particularly of Spain and France), play scripts with director’s notes, musical theater scores, and Brann’s college yearbooks. Sigrid Brauner was born in Hofheim, Germany, earning her BA from the University of Frankfurt before immigrating to the United States. Brauner completed her PhD in German literature at the University of California Berkeley in 1989 and later the same year joined the faculty at UMass Amherst in the Department of Germanic Languages and Literature. Brauner, who served on the executive committee of the Women’s Studies Program, remained at UMass until her death in December 1992. The papers reflect Sigrid Brauner’s interest in race and gender as well as her research in anthropology and theology. “Witches: Myth and Reality,” the popular course Brauner taught during the fall 1992 semester, is represented in the collection along with other notes for research and teaching. Professional correspondence as well as political and social change periodicals comprise the remainder of the Brauner Papers. A fair portion of the collection is in German. Born in Germany in 1923, Gerard Braunthal was a scholar of German politics and taught as a professor in the Political Science department from 1954. Before receiving his B.A. from Queens College in 1947, Braunthal served in intelligence during World War II, going on to receive his M.A. from the University of Michigan in 1948 and Ph.D from Columbia University in 1953. 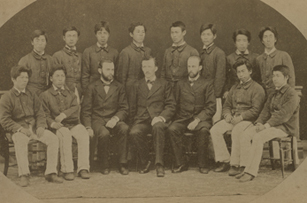 While studying at Columbia, Braunthal worked as an interviewer for US Air Force intelligence. An expert on the German Social Democratic party (SPD), Braunthal published extensively on modern German politics. His work on the subject was well regarded in Germany as well as the United States. In parallel to his academic research, Braunthal was also an anti-war and anti-nuclear activist, serving on the executive committees of both the Valley Peace Center and the Citizens for Participation in Political Action (CPPAX). Braunthal received the Order of Merit from the German government. The collection includes Braunthal’s correspondence, article manuscripts and research materials, as well as pamphlets, form-letters, and broadsides relating to anti-Vietnam war activism, interspersed with a small amount of personal correspondence from his own antiwar activities. Among his research materials is a collection of interview transcripts with members of the Federation of German Industry (BDI). There is also a significant collection of documents from his involvement with local activist groups, which includes minutes, form-letters, reports, conference proceedings, and leaflets. This small homemade photograph album documents a picnic and group outing at the Brooke (i.e. 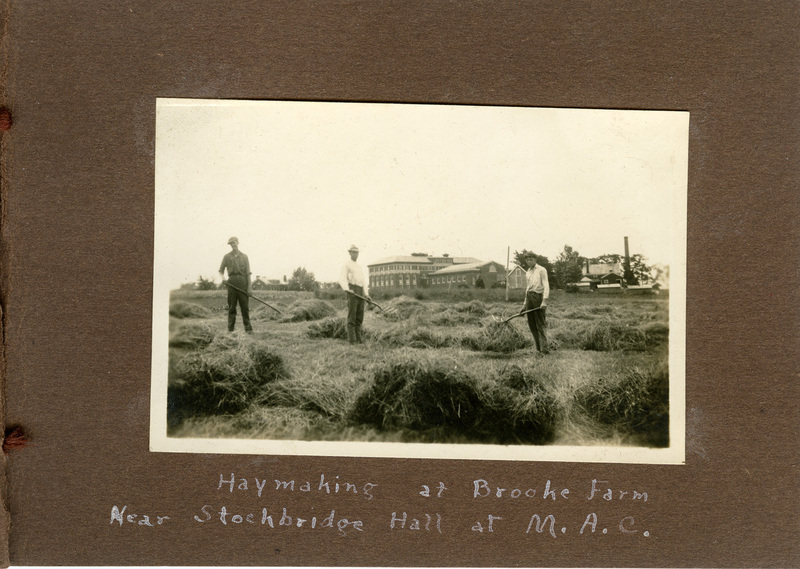 Brooks) Farm at Massachusetts Agricultural College in September 1922. Although the participants — over thirty of them — are unidentified, they took part in standard picnic activities, including a tug of war, three legged race, and rope jumping. The album contains labeled snapshots pasted onto thick brown paper, tied with a brown ribbon, and includes images of haying on the farm (with Stockbridge Hall in the background) and the homes of William P. Brooks and Prof. Arthur N. Julian. Beginning in a treehouse in Leyden, Mass., during the summer of 1968, the Brotherhood of the Spirit (later the Renaissance Community) grew to become the largest commune in the eastern United States. Founded by Michael Metelica and six friends, and infused with the spiritual teachings of Elwood Babbitt, the commune relocated several times during its first half decade, setting down at different points in Heath, Charlemont, Warwick, Turners Falls, and Gill, Mass., as well as Guilford, Vt. Produced at UMass Amherst, this video (digitized from a 16mm motion picture original) provides a largely laudatory glimpse of commune life during the boom years of the Brotherhood of the Spirit, probably around 1973. Sound quality in the video is highly uneven, often poor, particularly in the first two minutes. Brotherhood of the Spirit Commune (1973) from rob Cox on Vimeo. Before his graduate work at Amherst College and Harvard University, Alfred Brown received both his bachelor’s (1931) and master’s (1933) degrees from Massachusetts State College in animal husbandry and agricultural economics. In 1935, he returned to his alma mater as assistant research professor in Agricultural Economics, earning promotion to full professor in 1948, with a focus on Marketing and Transportation. During World War II, Brown served as a transportation economist with the War Food Administration and as a consultant for the Office of Defense Transportation. Although Brown retired from teaching in 1972, he continued to work as a consultant for the United States Department of Transportation in Africa until his death in 2000. The Brown Papers include published and unpublished transportation writings, correspondence, biographical and personal notes as well as notes for research and teaching, newsclippings, motion picture films, and slides. Also included among the papers are files related to Brown’s university service, including the Alumni War Memorial Fund, the University Centennial Committee, and the Alpha Chapter of Phi Sigma Kappa.